We all had loads of ideas of what we wanted to be when we grew up. Frankly, most of us still have a pretty big ‘when we grow up’ list and Fred is a couple years from retirement. They say that it takes ten thousand hours of work and you can call yourself an expert in something. So, the math geeks in the office rushed to figure out how many careers we can fit into our lives. We all agreed that we definitely should have started earlier! Especially with some of the most favorite of occupations, we could have all used a few extra hours in before half our days were scheduled for us. And, we’re sure that you are thinking the exact same thing for your kiddo. That’s why we put ourselves to the drawing board to come up with all the special training that we could muster for your tots’ prestigious steps into their future careers. With the Child Orange Astronaut Costume, your kid is ready to initiate the advanced training that only NASA kids normally are exposed to. 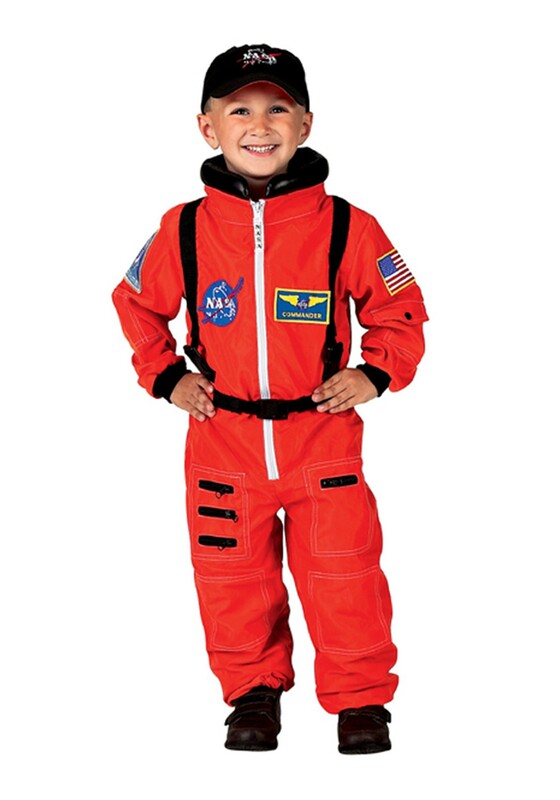 Numerous patches and pockets provide crucial storage for candy—we mean specialized space cuisine—and plenty of buckles to keep them secure (and occupied) while they are exploring where no child has gone before. With the speed at which our technology is growing each day, we all agree that we are only a few years from finding out whether Star Wars or Star Trek is right; make sure that your child is fully prepared to make one small step for a kiddo and one massive moon leap for kiddo kind!